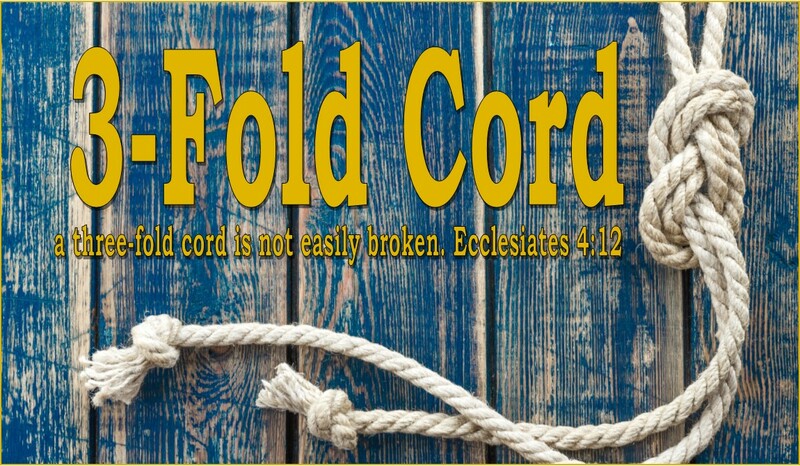 3-Fold Cord: Book Review and Giveaway!!! 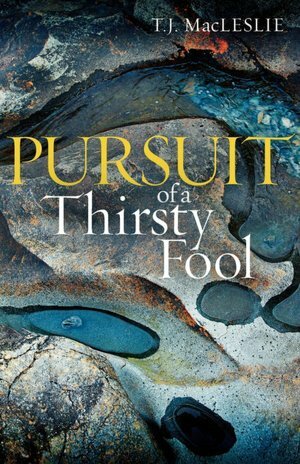 Our latest review is entitled: Pursuit of a Thirsty Fool by T.J MacLeslie. I admire any Christian author who is brave enough reach inside themselves and dig into their soul and psyche, even at the risk of incommoding, and ultimately publicizing, his/her own vermin. That being said, MacLeslie not only digs, he travails and hacks at the roots of sins that have inundated his mind, body, and spirit. Of course none of this digging would be possible (or tolerable) without the guidance and divine hand of the merciful God and Savior Jesus Christ AKA: “The Master Gardener”. MacLeslie’s book takes us on his personal journey and illustrates how a dysfunctional past, if not given over to Jesus Christ, ultimately plants the destructive landmines of our future. From sexual abuse, to drug use, the author shows how these deep seated wounds cause us to put up walls, and don masks to avoid having to expose and relive the pain of our past. Pursuit of a Thirsty Fool proves that growing up in a Christian home, and the church, does not automatically mean you are protected from the evils of the world. A harder reality still is when wolves come into the congregation to feed on the young and impressionable. Many times the God that is presented within walls made of human hands is not the true compassionate Lord and Savior we serve. MacLeslie at length struggles and bleeds on the page with these said issues. The author goes to great lengths to show us how the Lord is the Master Conductor of our lives, always working behind the scenes, even despite our seemingly hell-bent efforts to derail the whole train. Another major theme of the book, which cannot be emphasized enough, is the power of prayer and seeking God for guidance. Over and over MacLeslie shows us God’s power as a Prime Mover as the author traverses the globe in missions work and the ministry. Throughout these globetrotting journeys God is constantly refining him (often by fire) in order to flesh out his ego, insecurity, and unforgiveness- which is often the unholy trinity of the Christian life! The wonderful thing about this book is that it is very multifaceted. Everyone will inevitably see pieces of themselves contained on the pages therein. For some, the missions journeys and stories will resonate and inspire, while others will be drawn to the authors experiences and daily battles with the flesh and the world. MacLeslie’s stories and adventures cover the entire gambit of the Christian experience, which is a lofty, almost impossible task indeed! That being said, it is the books wide scope and breadth of topics, and subject matter, that tend to present a problem. For in dealing with so many events and timelines, the book, in places, becomes a tad-bit muddled. Some of the authors events I found to be over explained/redundant, while other topics I felt required more detail. Being an author often requires making painful choices concerning what to leave in, and what to leave out. I’m sure this was no easy task for MacLeslie. After reading the book, it became perfectly evident that if the author were to put in all the events and details he desired, the book would have probably been a minimum of 700 pages. That being said, I personally would have read every page if it had. In closing: I truly believe you will be blessed by this book and I encourage you to get a copy! Would you like to win the book we reviewed with along with a 20.00 Amazon Gift Card? Well, than enter below. Earn points by posting, Retweeting, or "liking" us on Facebook.